Welcome to Brahier Oil, Inc.
Brahier Oil, Inc. delivers top quality diesel fuels, gasolines, and motor oils in the greater Toledo and surrounding areas. 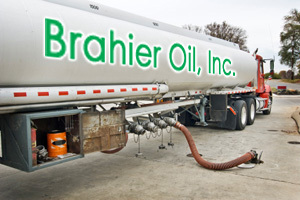 From 150 gallons to 8,500 gallons, Brahier Oil, Inc. is your answer to your petroleum needs. We proudly service residential, construction, commercial, agricultural, municipalities, and marinas. We are a local, family owned company in business in the Toledo area for over 70 years. John Deere Credit is available; they offer many custom credit features including Budget Billing for residences, farm terms and special programs for municipalities.